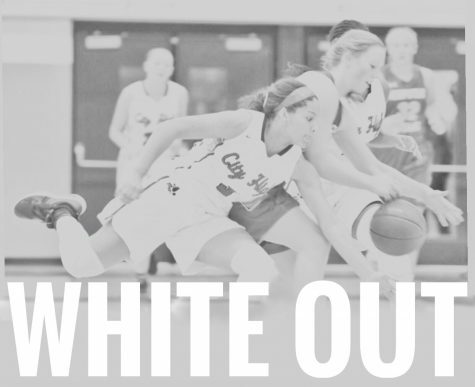 The girls basketball team is off to a 7-0 start after winning again on December 16th. 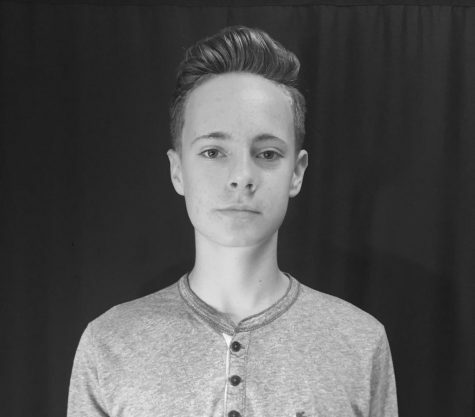 This story was originally published in the December print edition on December 16th. Ashley Joens '18 lines up for a free throw. A combination of young and veteran talent has driven the Little Hawk girl’s varsity basketball squad to a dominating start to the season. 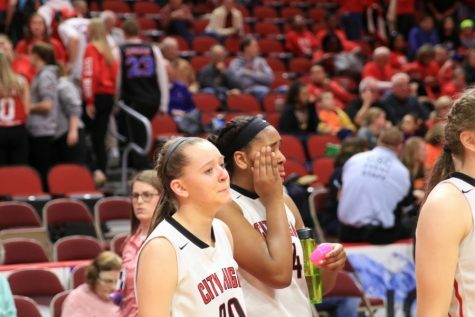 As the girls have reached an undefeated record early, they have jumped out to a #2 ranking in class 5A. 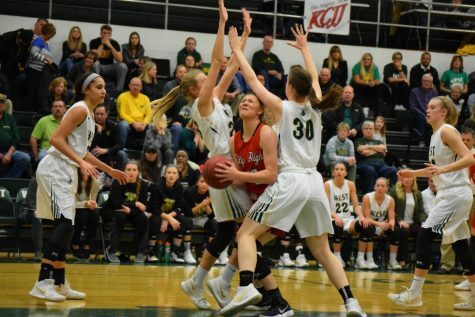 Junior and five star recruit Ashley Joens, who is averaging 16.3 points per game to lead the Little Hawks says that she is pleased with the way the season has started. 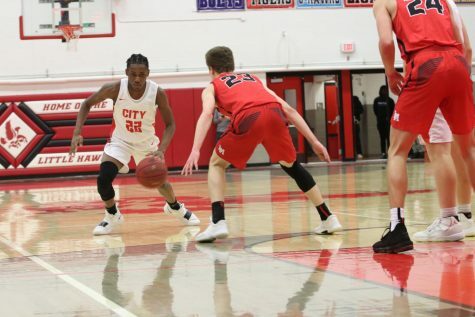 On December 9th, the girls beat third ranked Cedar Falls by a score of 62-40, a win that head coach Bill McTaggart says will be huge for the team going forward especially as it gave the team sole possession of first place in the MVC early in the season. McTaggart believes that City’s defense will be a key as the season progresses. “When we’re getting deflections on defense, we’re pretty good,” McTaggart said. 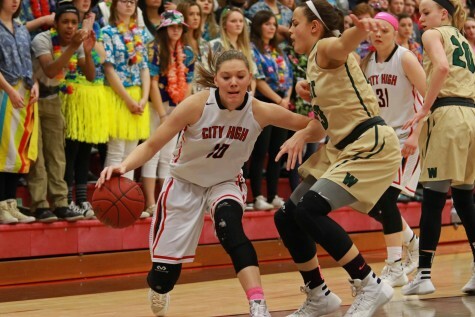 City’s defense has been lead by Aubrey Joens ‘20 who has 13 steals this season, tied for the team lead. Her sister Ashley has three blocks, second on the team. 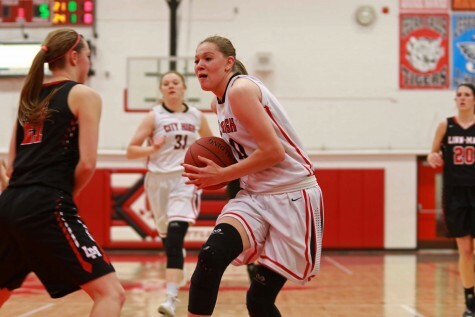 The Joens family name has gone hand and hand with City girl’s basketball these last five years, as Ashley’s older sister, Courtney Joens ‘16, dominated on the court during her time as a Little Hawk and has since moved on to play basketball at the University of Illinois. Ashley and younger sister, Aubrey, seems to be following in her footsteps. 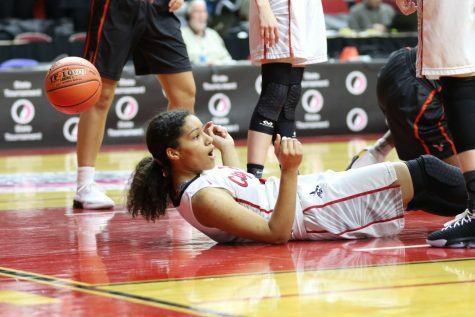 Aubrey has averaged 10.8 points per game this year, and McTaggart believes that the young talent on this team with Aubrey and fellow freshman Rose Nkumu, who is averaging 10.3 points per game and also is second on the team in assists, have a lot of experience and talent for their young age. 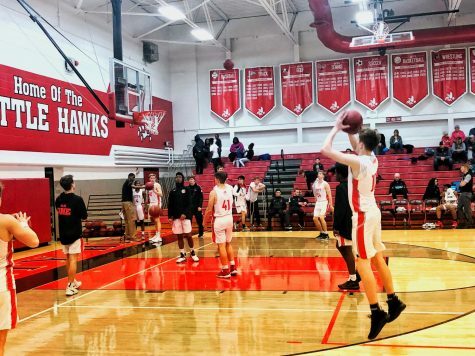 “They’ve played a lot of basketball so they’re beyond their years as far as basketball age so they don’t play like freshmen,” McTaggart said. Despite some of their youth, the girls also have some senior leadership on the team. 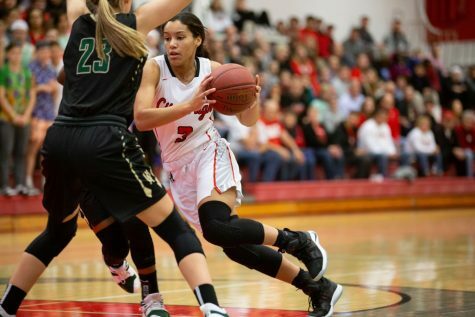 Kenya Earl ‘17, daughter of former NBA player Acie Earl is a four year varsity player. 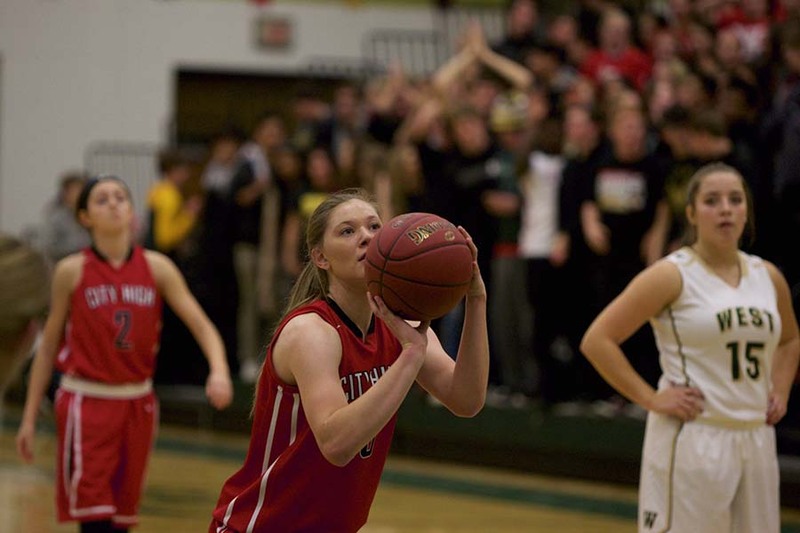 She has averaged 14.5 points per game and has been shooting an outstanding 94% from the free throw line. Earl has also dominated the boards for the Little Hawks, averaging 5 rebounds a game. Sydney Schroder ‘17 is only averaging six points per game, but has found other ways to help out the Little Hawks. Schroder leads the team in both assists and steals. 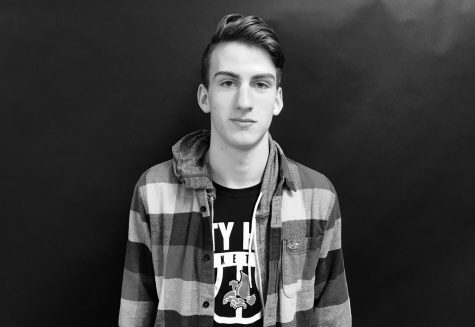 “It’s been really fun and filled with great memories. I’ve been grateful to play four years because not everyone gets the chance to do that,” Earl said. Another aspect of Earl’s game is her size. At 5’11”, she is one of the tallest athletes on the team. She has also hit 34.7% of her three point field goals this year, adding to her versatility and overall game. Earl has helped serve as a mentor to some of the younger players on the team. With a lot of talent, both new and returning this season, the team is working on fine tuning the easy things in practice, such as lay-ups and boxing out on rebounds. 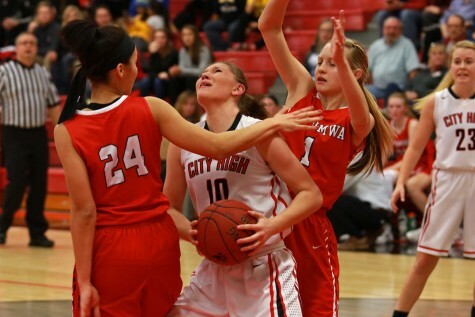 Ashley Joens says that this team has the potential a run for the state title, but that the Little Hawks can’t get ahead of themselves. The next home game will be December 20th against Cedar Rapids Jefferson.